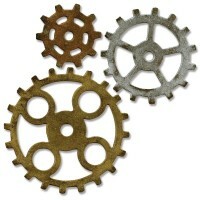 Tim Holtz Idea-ology MINI GEARS Sprockets TH93012 12 mixed mini gears in different metal finishes. Measuring between 12 and 18 mm. 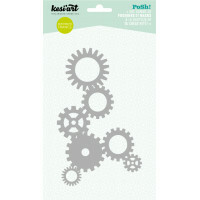 Tim Holtz Idea-ology Game Spinners are perfect for accenting all of your scrapbook layouts and paper.. Remnant Rub Ons. 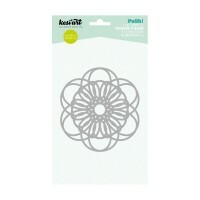 A perfect addition to any paper crafting project! 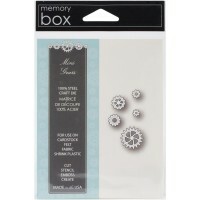 This package contains two 7-3..
Memory Box thin die Size 0.6,0.8,1.1,1.3,1.8cm Dia Compatable with most die-cutting machi.. 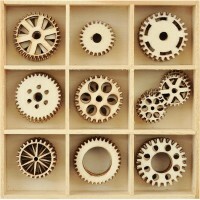 Thin metal die compatable with the majority of die-cutting machines. Dimensions : 7, 5..
10 x 16.5 cm mask by French make Kesi'art. Use with paints, inks and other materi.. 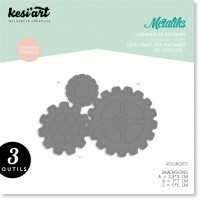 These adhesive backed embossed elements have a unique metallic finish that will give your project a .. Measuring 5 1/2" x 6", this Bigz die showcases the bold and edgy style of Tim Holtz A Bigz die cl..
Add a dimensional flair to all your craft projects! This package contains forty-five wood ..
11 x 12 cm mask by French make Kesi'art. 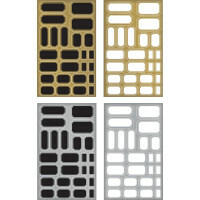 Use with paints, inks and other mat..
Idea-Ology Metallic Stickers Pack of 4: Includes 1 sheet each of black with gold, white wit..